I recently rebuilt my engine and I didn't have any preferences or much money so I just bought a rebuild kit. I don't what the pistons are but I was wondering if anyone knew or could tell me if they would be good at all for a turbo? I don't plan on racing or boosting at a high PSI. Well those are replacement DOHC pistons, by the way they shine (cast are dull finish) and the crispness of the skirt casting mark they are hypereutectic. if you are single cam then you'll have 10.4:1 compression, if dohc then you will have 9.35:1 compression both with stock untouched deck heights. So in a dohc app. it would be better than stock pistons because hypereutectic piston have a high silicone content so they are stronger and lighter than low silicone cast pistons. 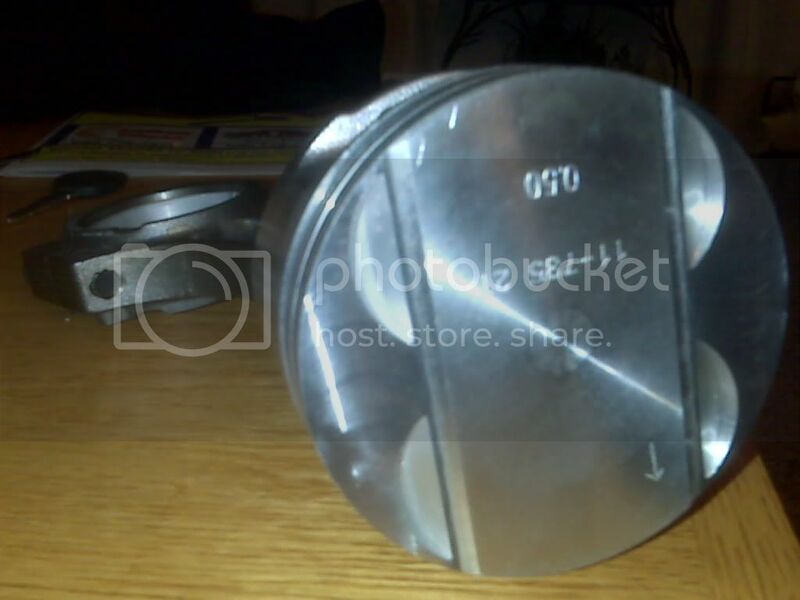 you still probably won't boost over 8 psi. Also can you tell me more about your 440 hemi atx Charger. I'm guessing it has a 440 with aftermarket hemi heads or a stroked 426, and I'm guessing the atx is a typo since the 727 torqueflite is not an automatic transaxle. rule of thumb is .1:1 added compression for every mm of overbore. 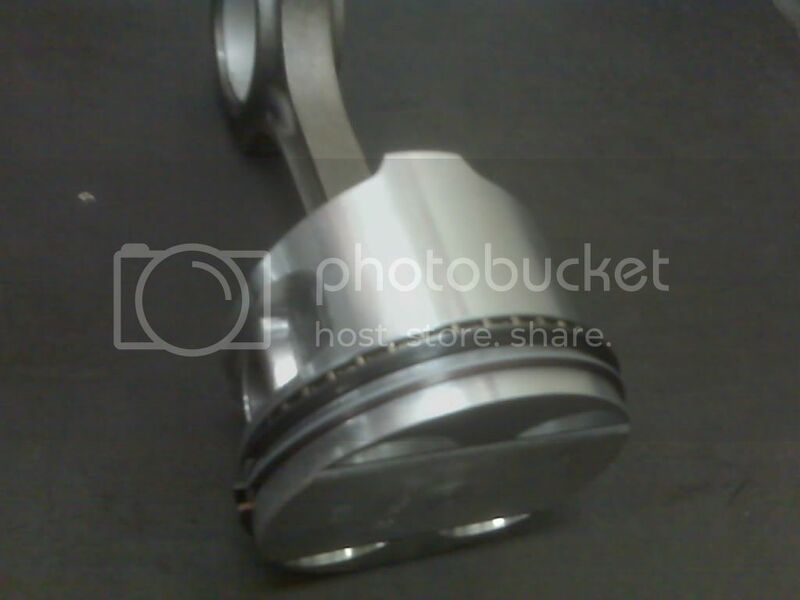 Your pistons are 0.50 mm oversized=.05:1 added compression. Just if anyone wanted to know where I got the 9.35:1 ratio for the dohc head with dohc pistons. Last edited by charger440neon2.0l on Mon Jun 15, 2009 1:47 am, edited 1 time in total. So don't turbo the sohc with these? I wouldn't unless your a master tuner. Even at really low PSI? Or just not at all, I know nearly nothing about turbo's . . .
You should read up before going much further. between 8:1 and 9:1 is the ideal ratios for turbo engines, being above 10:1 is mostly for n/a applications and top fuel dragsters. You have the perfect start for a good reliable sohc n/a build. My pistons in my engine are 1mm hyp. dohc pistons in my sohc. block and head both decked 0.015" and measured 10.5:1 compression. charger440neon2.0l wrote: So in a dohc app. 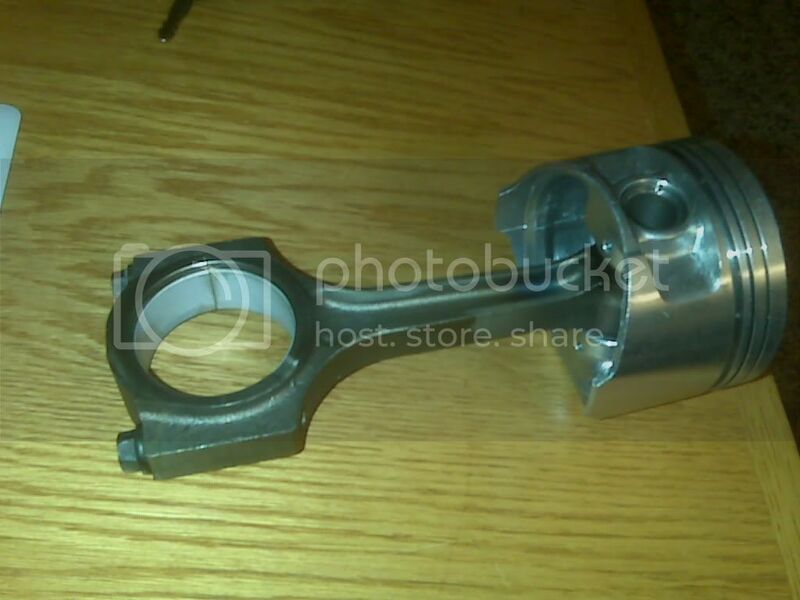 it would be better than stock pistons because hypereutectic piston have a high silicone content so they are stronger and lighter than low silicone cast pistons. you still probably won't boost over 8 psi. All factory neon pistons are hypereutectic. 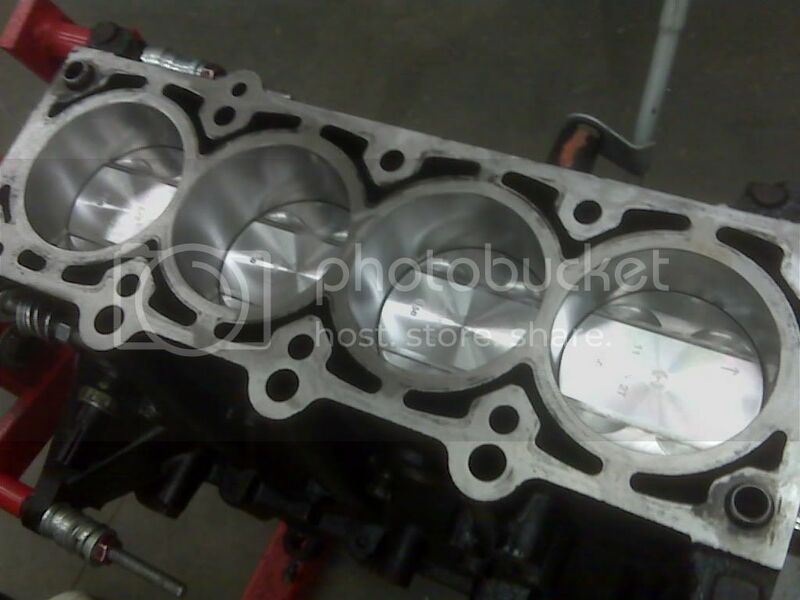 Your best bet is to ditch the SOHC head and get a DOHC head. You will then have much lower compression and a better flowing cylinder head. charger440neon2.0l wrote: You should read up before going much further. between 8:1 and 9:1 is the ideal ratios for turbo engines, being above 10:1 is mostly for n/a applications and top fuel dragsters. You have the perfect start for a good reliable sohc n/a build. My pistons in my engine are 1mm hyp. dohc pistons in my sohc. block and head both decked 0.015" and measured 10.5:1 compression. Just to put it out there as an interesting tidbit, not calling you out at all. From what I remember of a project i did on nitro dragsters they run really low, like 6:1 c/r. pro mod cars on the other hand are in the 10:1 - 11:1 c/r with the massive blowers on them. and i'm sure the nitrous fed ones are in the 17:1 or 18:1 area. I already sold the car lol, I might be buying it back soon, but I have a 2.4 thats going in it.